April is Autism Awareness Month. To bring awareness to autism spectrum disorder (ASD), we've put together some helpful resources and recommendations for you. 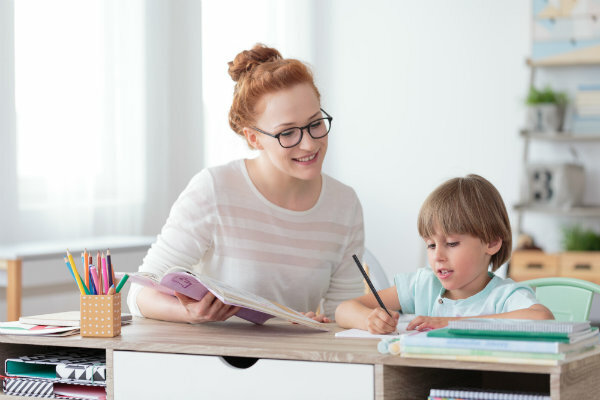 Here is a quick overview of some important pieces of information and helpful online childcare training course ideas we want to share about this disorder. Sometimes referred to as “autism spectrum disorder”, autism is a social disorder caused by both genetic and environmental factors. The presenting symptoms vary between different people, but the most common symptoms tend to be difficulties with social skills, issues with communication, and repetitive behaviors. Asperger's Syndrome and Childhood Disintegrative Disorder are both considered part of the autism spectrum. These conditions affect one in 68 people so, as an early childhood educator, you are likely to encounter children who appear somewhere on the autism spectrum. Additionally, you may also notice more boys with the disorder than girls — it affects 1 in 189 girls and 1 in 42 boys. Which Online Childcare Training Classes Cover Autism? At ProSolutions Training, we offer two courses specifically focused on autism. To assist with preparing you for the classroom, you can take these classes while working towards your childhood development associate (CDA) credential. Also, if you have children who are autistic in your current classroom, these courses might also be helpful resources. You can also take these courses when you renew your CDA. “Understanding Autism: An Overview of Symptoms and Characteristics Across the Spectrum” is an hour-long course worth 0.10 continuing education credits. It provides a comprehensive introduction to Autism Spectrum Disorder, including diagnosis, treatment, and intervention. It also provides tips on how to best support the families of children who are on the autism spectrum in your classroom. However, while this online childcare training course is ideal for learning about the disorder itself, if you are looking for more actionable tips for working with children on the autism spectrum, you should check out the course “Simple Strategies for Working With Children on the Autism Spectrum”. This is also an hour long course worth 0.10 continuing education credits and covers the importance of partnerships between teachers and caregivers. The course also helps outline and define your role as an educator in the child’s life. Most importantly, this class covers teaching methods that work best based on the individual social and emotional abilities of children in your classroom on the autism spectrum. Why Should You Prepare for Special Needs in the Classroom? Child care training online can offer courses on a wide range of topics. As an early childhood educator looking to grow professionally, try including a few courses on special needs. The need for training on this topic is increasing as diagnosing these needs becomes clearer and easier. As efforts to create more inclusive teaching environments continue to grow, the likelihood has increased that, as an early childhood educator, you will have a child in your classroom with some form of special needs at some point in your career. Two of the ProSolutions Training online child care training courses on the topic of special needs in the classroom to consider include “Individualized Education Plan (IEP): Planning for School Success” and “Special Needs in the Early Childhood Classroom”. In addition, also consider taking a course related to food allergies, as this is also beginning to be considered a type of special need. In the ProSolutions Training online child care training catalog, you can find courses on this topic titled “Food Allergies: Recognizing Allergic Reactions” and “Meal Planning in the Child Care Setting”. When completing your online child care training courses, remember to take classes that cover issues such as autism. Armed with that information, you will be a better educator who can help your students more effectively. To get started, sign up with ProSolutions Training today.